WideSpot is located on the second floor of the Spring Street Arts Building at the corner of CR-J (Spring Street) and WI State Hwy 35 in downtown Stockholm, Wisconsin. Widespot Performing Arts Center’s founder, Alan Nugent, has been an integral part of the successful arts renaissance here in Stockholm, and because of visionaries like him and so many others in our community, we are now celebrating our ninth season! Housed in what is now known as the Spring Street Arts Building, it is one of Stockholm’s most prominent and historic buildings. 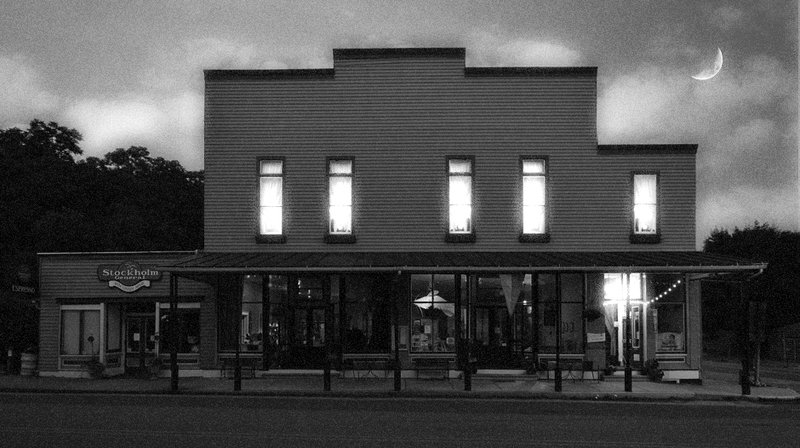 Widespot boasts a rich history of providing area residents and tourists live performances in what was the original opera house more than a hundred years ago. The Wisconsin Arts Board granted WideSpot a 2015-16 Creative Communities Grant. These funds have helped pay for on-going Goin’ Coastal! productions and technical equipment. 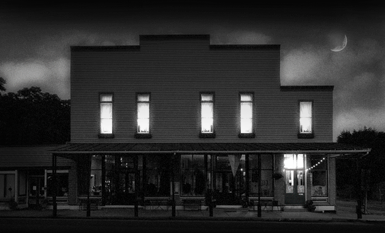 WideSpot offers a wide variety of music, theater, and performance art. It fosters work that both satisfies and challenges audiences and artists in collaborative ways, building connections with individuals, organizations, and the surrounding community to achieve mutual goals. It works at developing relationships with private and corporate entities to ensure the financial viability of the organization, and enhance the economic development of the community. Its mission is to thrive by providing cultural life, through the arts, to the entire region. 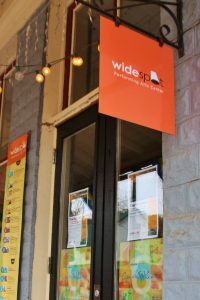 The WideSpot space is available to rent. Please call 715-307-8941 for details. Regrettably, WideSpot is not wheelchair accessible. Located on the second floor of a building, entry requires a strenuous walk up a steep and narrow stairway with 21 steps. Handrails are provided, but patrons must determine if they are physically able to walk up the steps under their own power. 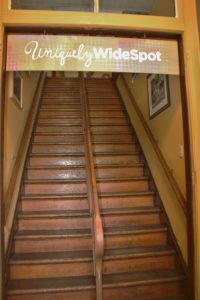 WideSpot staff and volunteers are not able to assist patrons in negotiating the stairs. WideSpotArts@gmail.com | 715-307-8941 | © Copyright , All Rights Reserved.